My husband is not a coffee drinker. Believe me, he wants to be a coffee drinker, but the properties of coffee and the metabolic rate at which he processes those properties are not at all compatible. Whereas I can drink two cups of coffee and feel fine, though ever-so-slightly more excitable than I might normally be, my ever suffering husband will have half a cup of coffee, then immediately start to sweat like a marathon runner being chased by a hungry tiger. After the sweating, we then have insatiable mouth dryness. After the mouth dryness, we have stomach gurgling. After the stomach gurgling, we stop sharing information. Tea, thankfully, does not cause my husband to suffer any ill effects. The only beef he has with tea, in fact, is that, though it makes him feel much, much better than a cup of coffee ever could, it just doesn’t taste as satisfying as a cup of coffee. As a huge, unapologetic fan of coffee, I greatly sympathize with this sentiment. 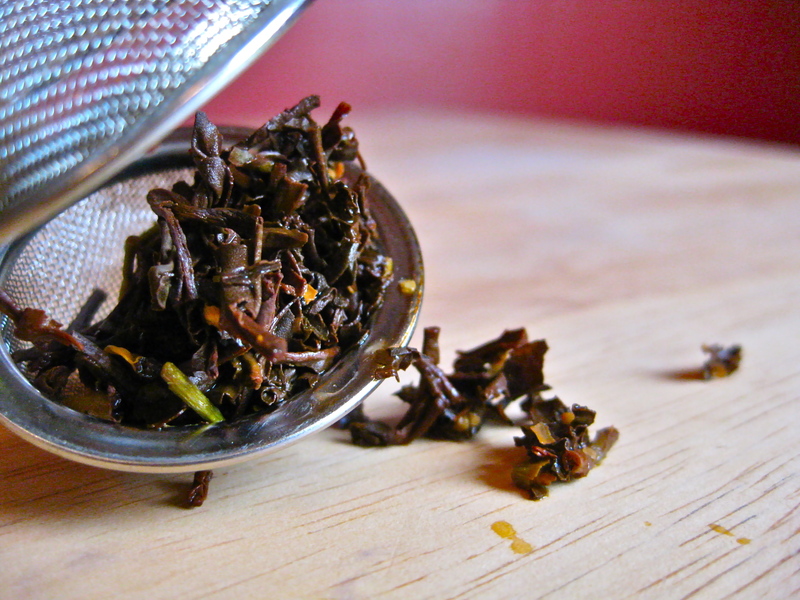 However, when we were in San Francisco, we came across a tiny little tea shop in Chinatown that offered dozens of different types of loose leaf teas, all of which were available for sampling, and all of which made a very compelling argument concerning the deliciousness of tea vs. the deliciousness of coffee. The selection of teas on display at Blist Tea is phenomenal. 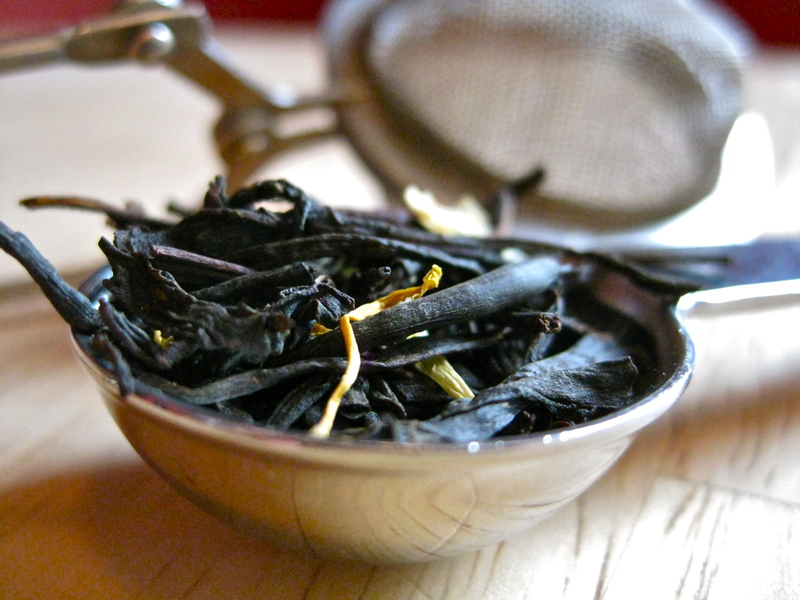 We were tempted by several varieties of earthy, dark oolong tea, but when presented with the heavenly scent of this Jade Black tea, I could tell my husband had made his decision. With its fantastic aroma of lychee, peach, and jasmine, it was difficult to abandon the idea of this tea once we were acquainted with it. We ended up leaving with a 2-ounce bag of Jade Black tea. 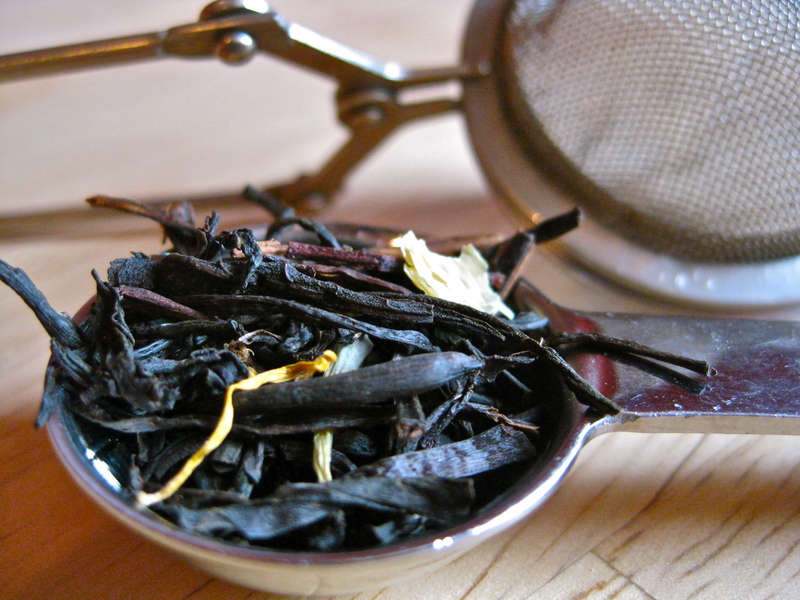 Though 2 ounces of tea does not sound like a large haul, it bears mentioning that, being a collection of dried leaves and flowers, a few large scoops of tea will weigh considerably less than one might think. 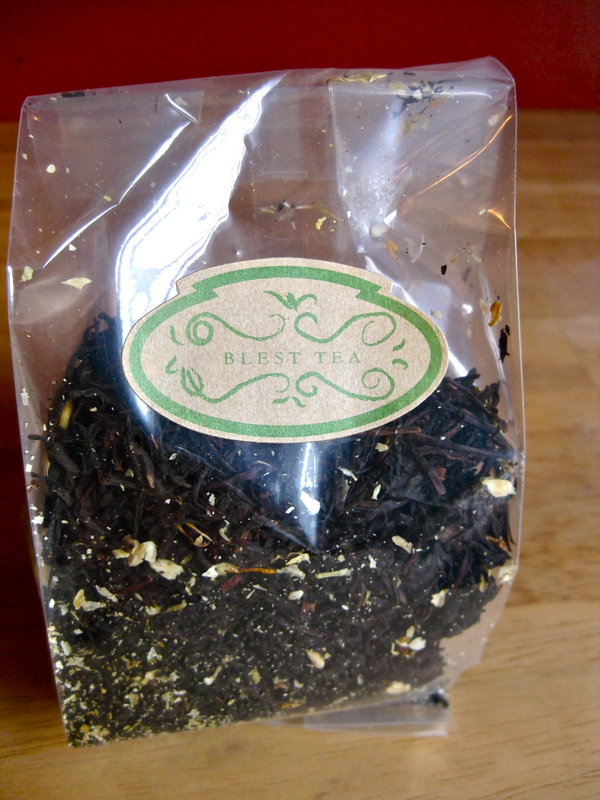 Additionally, we were pleased to discover that Blest Tea encourages a very short brewing of their tea, followed by multiple uses. This means that a single teaspoon of their tea, brewed for a mere 30 seconds, can be set aside and subsequently used for at least three more single cup brewings. We definitely feel as though the cost of this tea constituted a splurge on our part, but, when considering how many cups of tea one gets out of an initial $18 investment, the sting of the cost subsides rather quickly. Plus, to state the obvious, this tea is absolutely wonderful. It is smooth, complex, and decidedly lacking in acidity. Though still caffeinated, this tea somehow manages to make one feel calmer while drinking it, rather than slightly jittery and sharp. 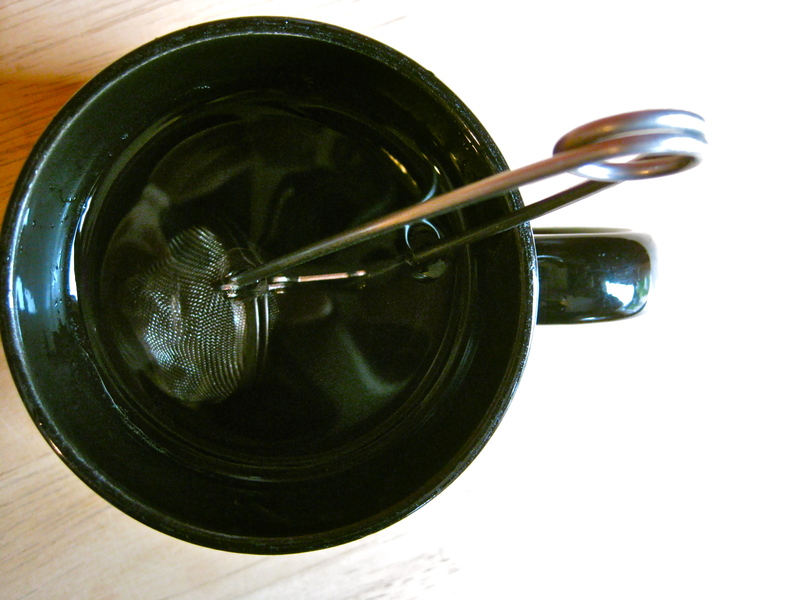 It’s an entirely new experience in tea drinking in this house, and an inspiring one at that. So funny!! I want to be in that tea shop!! I’m curious about the indigenous teas of other lands – how the perhaps same leaves (or stems, etc.) are altered in different countries, which milk/sugar/etc. 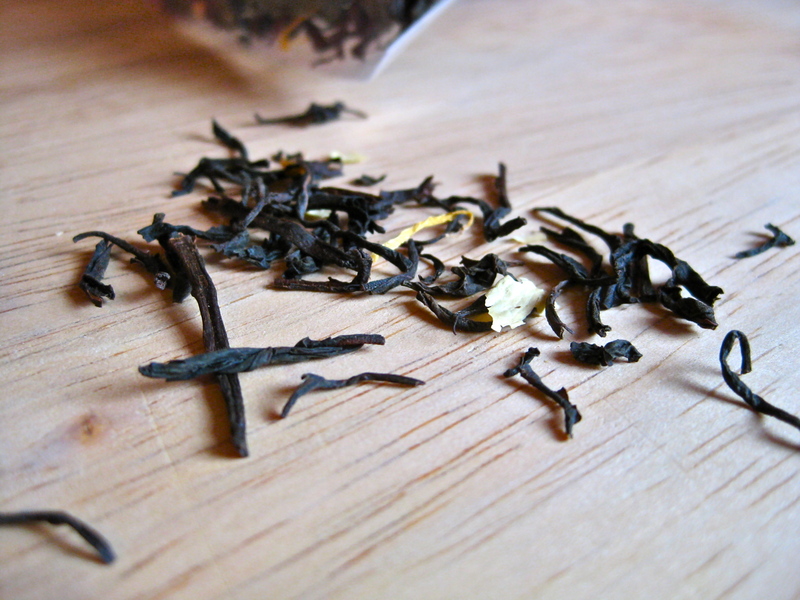 items are added to the brewed tea. In Mongolia dried meat, broth or fat are added to tea sometimes. And salt – or maybe the salt comes with the meat. This makes a nourishing tea which is delicious and satisfying – and which I couldn’t duplicate here. I think you have to be there, though there are some packets of tea/broth to be had here which might come close. And think of the traditions surrounding tea. At the site of the Mother Tree, important to Buddhists, there are walls of packaged tea offerings, the tea like brittle but strong bricks, lasting in the weather for years and years. Thank you, EM, for prompting my memory!